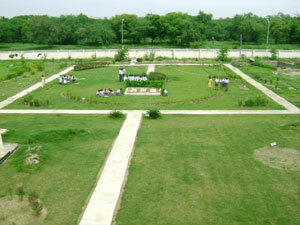 The Army Public School, Bathinda Mil Stn started as a small Garrison School in the year 1976. Its aim was to provide pre-primary educational facilities to the children of Army personnel. The school was established in the Army barracks located next to Station HQ Bathinda. 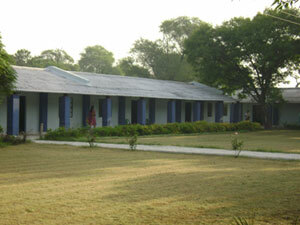 In the beginning school consisted of only 15 rooms and 10 tents. The strength of the school in the beginning was only 450. The school shifted to the barracks next to Chetak Offr Institute in the year 1992. Mrs. AV Jadhav was the first Principal of the school and Brig AS Johar was the First Chairman of the school. 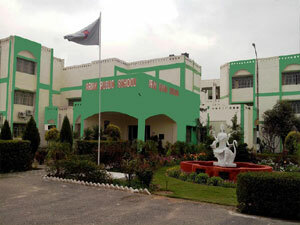 With the passage of time the school developed into a Secondary School and obtained its affiliation from Central Board of Secondary Education (CBSE) in 1987. The first batch of students for class X Board Examination was presented in 1991. Thereafter, the school was upgraded and in the year 1996 students appeared for Senior Secondary (Class XII) Board Examination for the first time. Presently the school has a well established faculty for Science, Commerce and Arts streams at +2 levels.The new building of the school was inaugurated by Lt Gen D S Chauhan, AVSM GOC 10 Corps on 15 Jan 2009. The School is a non-residential co-educational English Medium School in which the academic session runs from April to March. Majority of the students are from the families of defense personnel. It is being managed by a School Managing Committee.